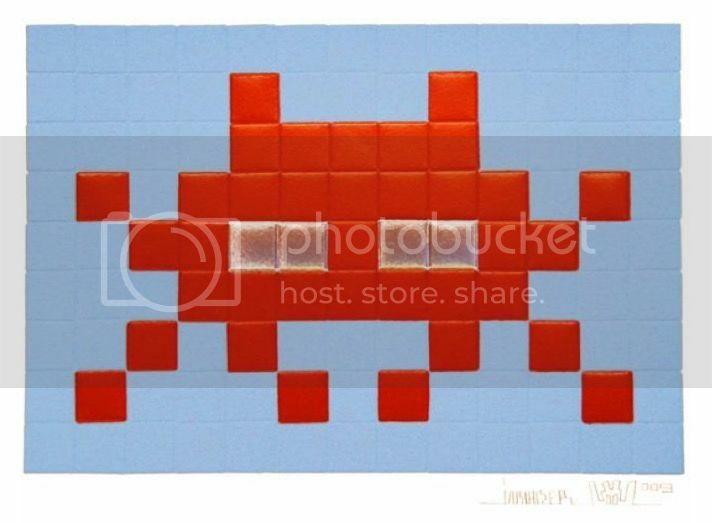 Hi all looking for an Invader original piece. 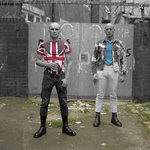 I am looking to buy Space Invader - Aladdin Sane in blue ("Inky"). Looking for Invasion kits 5,6,7,14,15 or 16. Only interested in sealed (never opened) kits. Please pm me with your price if you have any of these for sale. Visit www.GraffitiStreet.com for some of the world's best graffiti & street art. I have an Orange Aladdin Sane, stored flat, never framed that i might consider selling. Offering $1,500 including shipping to NY for the Home series. Space One - pm with your offer! 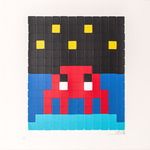 ISO Invader prints. Open to any and all possibilities, but ideally searching for the Invasion, Home, or Aladdin Sane series. I have a framed, u/s Kubrick Jack print in London. Shoot me a PM if interested. Thanks. Anyone have a Space File print in black for sale? Looking for Invader " Prisoners " print. Hi lobster, u prob already seen it but Jojo21 has one for sale. i didnt want to hijack that For Sale threat, but isnt that price hes asking way too high ? i dont own it, and i dont want it, but just seemed off. What I do know is that he has been online but hasn't replied to me (!!) - maybe he doesn't REALLY want to sell it and is just joking !!!!! I wasnt actively selling but someone put out a wanted thread and it was sat under my bed so its better off with someone who'll frame it and hang it than me. ... £1.6k seems a bit steep ... but other than the above sale ... when was the last time you saw one on the open market? ... how many where pinned, sellotaped up on the wall ... even thrown away - as he has been a slow burner in popularity .. I sold mines to another member cple mths back for half of that which was pretty much what i paid for it 2 years before. Between buying and selling mine, i didnt see another one for sale. I missed out on this, bud. I didnt post for sale thread, just replied to a couple of Invader wanted threads. Probably cldve gotten a bit more for it but cant be arsed with hassle of raising sales threads; it was bad enough responding to wanted threads with pillocks trying to put the squeeze on you when u are looking to help them out with what they are looking for at a fair price.